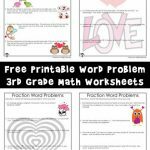 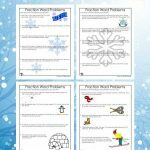 Here’s the newest set of word problem worksheets for 3rd grade students! 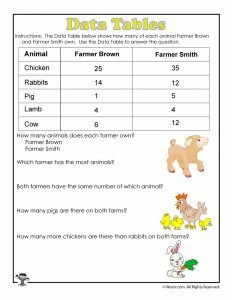 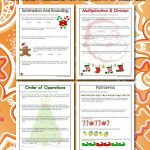 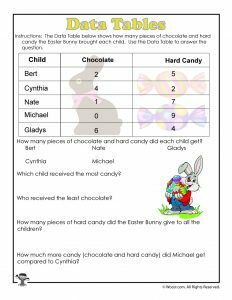 In these 6 worksheets, students will be reading data tables, and using the simple 2 and 3 column tables to calculate answers to word problems related to the Easter holiday. 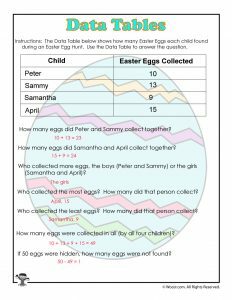 Students will be able to tabulate the number of eggs found in an Easter egg hunt, number of eggs decorated by a group, and who got the most candy in their Easter basket! 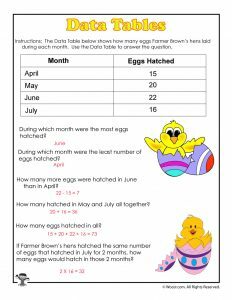 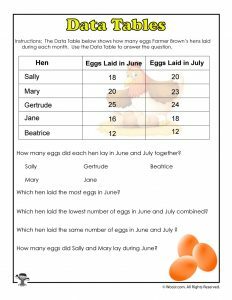 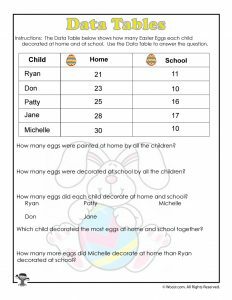 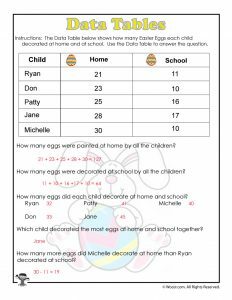 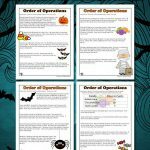 These Easter math worksheets are part of our series of word problem worksheets to use throughout a 3rd grade Common Core guided curriculum for the entire school year. 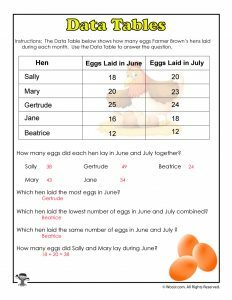 Answer keys are found below each worksheet!